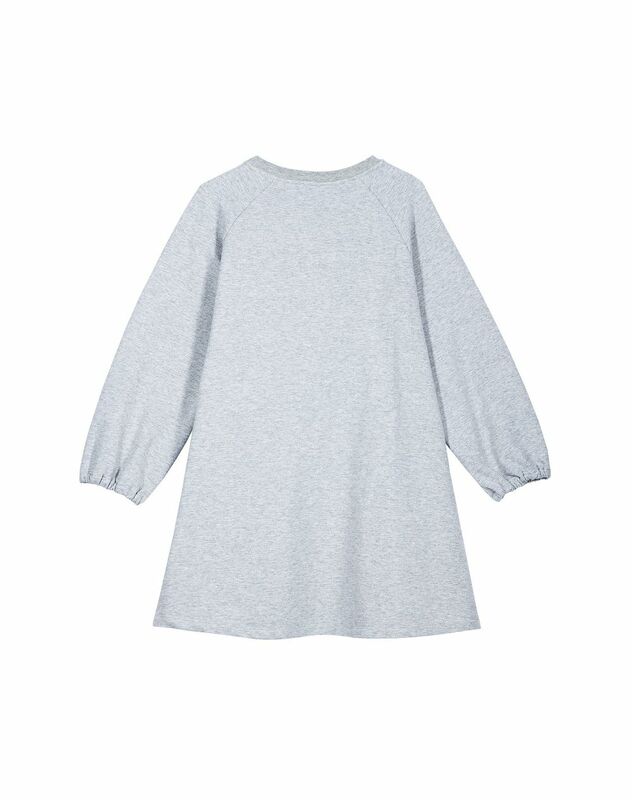 Long-sleeved dress in gray cotton jersey, fuchsia contrasted Lanvin logo print and ribbed hems. 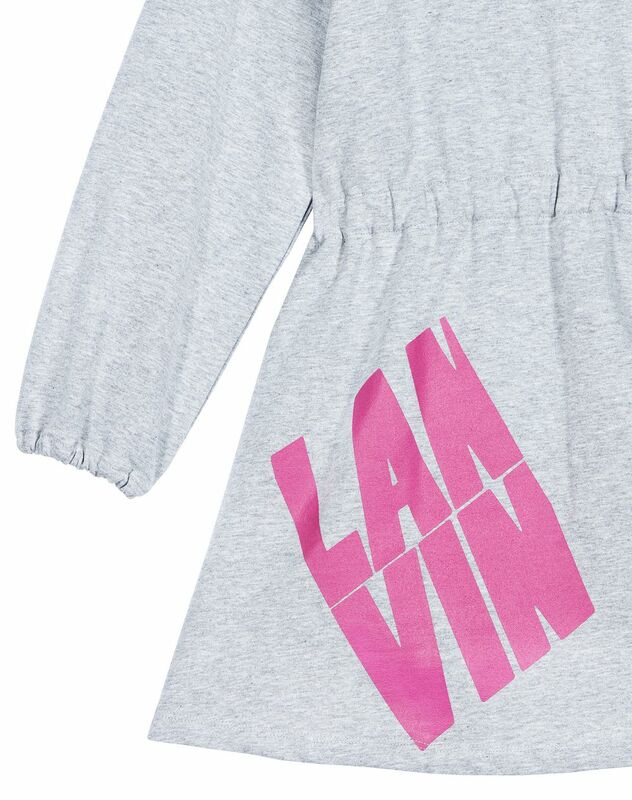 For this Fall-Winter 2018 Collection, Lanvin created a cute gray dress decorated with the Lanvin logo on the front. This casual sportswear model is Lanvin essential.